Did the Exodus happen? Many leading archaeologists and Bible scholars today say, “No.” Others argue that there may have been a small group of slaves that escaped Egypt, but the historical events didn’t happen the way they are described in the Bible. Even among evangelical scholars who accept the biblical account as historical, there is a debate regarding the date of the Exodus (this article from Wikipedia is an example of the skepticism of most regarding the Exodus). All of this confusion surrounding the Exodus led filmmaker Timothy P. Mahoney to begin a 12-year quest to discover if the Exodus really happened as it is told in the Bible, or not. 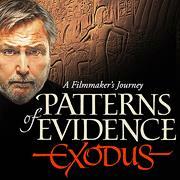 The result of his investigation is a book and film entitled Patterns of Evidence: Exodus. Mahoney explains that his original reason for going to Israel and Egypt was to do a documentary about the route of the Exodus and the location of the real Mount Sinai. However, when he arrived in the Middle East, he was asked why he would want to make a documentary about an event that never happened. 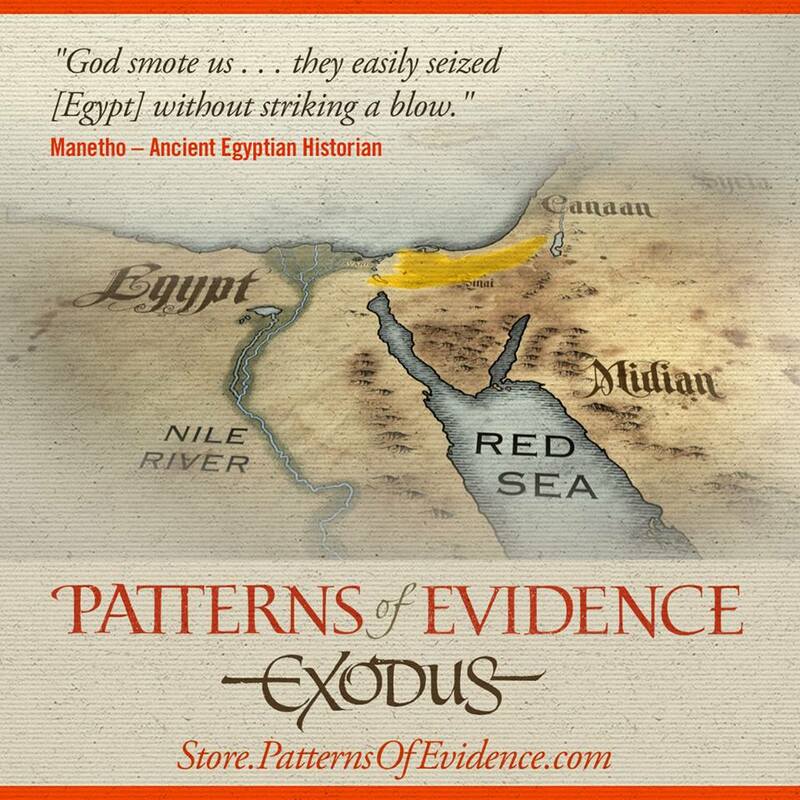 You can see his interview with Fox News here where Mahoney explains how this question changed the direction of his project and eventually led to the making of Patterns of Evidence: Exodus. The ancient city of Avaris which has been excavated over the past 30 years shows evidence for an ancient Semitic/Canaanite people. Mahoney’s initial quest led to disappointment. He was introduced to the most popular theory regarding the date of the Exodus, which is the time of Ramesses II (13th century B.C.). As the film points out, one of the bases for this proposal is Exodus 1:11, which mentions that the Israelites built the city of Ramesses. The city has a narrow history of 200 years (1300-1100 B.C.). The problem is, there is no evidence for a settlement of Israelites, or an exodus from Egypt during this period. Mahoney began to wonder if there was a city that showed archaeological evidence for a group of ancient Israelites. He heard about the excavations going on at the ancient city of Avaris, which happens to lay underneath the southern sector of the later city of Ramesses in the Nile Delta. There he was told by the director of excavations, Manfred Bietak, that a large group of ancient Semitic people (25-30,000) had been discovered. According to Bietak, these people were originally a free people who enjoyed a special status and were shepherds. 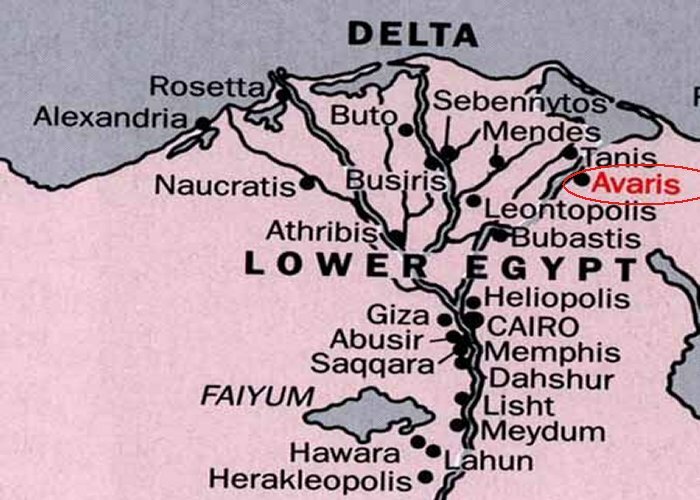 This sounded to Mahoney like the biblical account, but Bietak discouraged that interpretation because he holds to the Ramesses II date for the Exodus and this settlement was much to early to qualify as an early settlement of Israelites. Patterns of Evidence focuses on 6 major events recorded in the Bible visualized by a timeline wall, and proposes that these 6 events can be found in Egyptian history. However, some suggest that the current chronological timeline used by scholars needs to be adjusted. Although discouraged at first, Mahoney decided that his search should proceed along the scientific lines of searching for patterns of evidence, wherever that evidence might lead. Mahoney chose 6 important events in the biblical chronology: 1) Israelites descent into Egypt; 2) the multiplication of the population; 3) slavery; 4) a judgment on Egyptian society; 5) a massive and sudden exodus; and 6) the conquest of Canaan. Was there a time period in Egyptian history that corresponded to these 6 events? According to Mahoney, and other scholars he interviews, the answer is “Yes.” Mahoney, along with such scholars as David Rohl, Bryant Wood, and John J. Bimson, contend that the period of Ramesses II is the wrong period to look for the Israelite exodus from Egypt (thus it is no surprise that evidence is lacking for this time period). Some of these scholars would contend for an earlier date of around 1450 B.C., which is traditionally the date accepted by some evangelical scholars. This date is based on 1 Kings 6:1 which states that Solomon began building the Temple 480 years after Israel left Egypt. It’s generally agreed that Solomon’s reign began about 970 B.C. and the construction of the Temple began around 966 B.C. Adding 480 years to these dates takes one back to around 1450-1440 B.C. 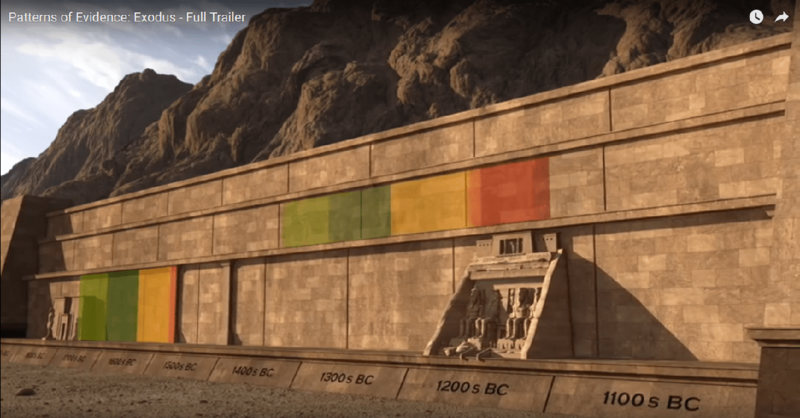 Mahoney introduces a massive amount of evidence to demonstrate that there was a time in Egyptian history that corresponds with the 6 major events mentioned in the biblical account (I’ll leave it to you to watch the video. It is a fascinating and informative investigation whether you agree with the conclusions or not). There is still a problem, however. The problem is that even the early date of 1450 B.C. does not appear to be early enough. The pattens of evidence that Mahoney discusses take one back into the period known in Egypt as the Middle Kingdom, and this is a full 200 years earlier than the 1450 B.C. date! This chart is one example of a change in the current Egyptian timeline employed by scholars. For an explanation of this timeline see the following link at ancientexodus.com. Patterns of Evidence points out that all chronologies of the ancient world are based on Egyptian chronology. Egyptian chronology has been considered established for a long time and many (including many noted evangelical scholars) refuse to consider that there could be major errors in it. However, there is a growing number of scholars looking into a “revised” Egyptian chronology (see the example above and the link for an explanation). The current chronology that is used, not only creates problems for the biblical account, but it also requires gaps of time to be inserted into the chronologies of other ancient nations in order to make them synchronize with Egyptian history. This suggests there may be a problem. David Rohl and John J. Bimson, among others, are convinced that Egypt’s chronology needs an overhaul. Others are convinced that an early date for the Exodus (i.e., 1450 B.C.) is still the best explanation (see Bryant Wood’s arguments against Rohl’s chronology here). 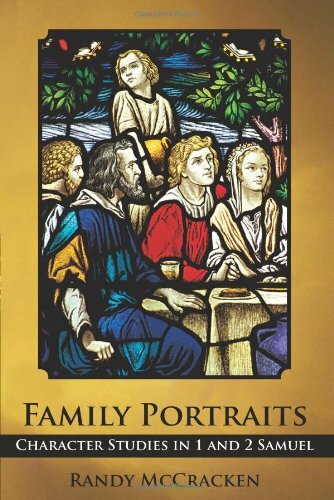 Mahoney is up front about coming from a Christian family and growing up believing in the historicity of the Bible. However, he admits that when he began his investigation into the evidence for the Exodus, it created some doubt and concern. But, as he says at the end of the film, he was determined to go wherever the evidence led. Although one could accuse Mahoney of entering this project with a biased point of view, as archaeologist Bryant Wood points out in his interview with Mahoney, “everybody in the field is biased.” Not only is it impossible for a human being to have no bias, but in my small exposure to the world of archaeology I have learned that conclusions are often heavily motivated by theological or political agendas. Therefore I find Wood’s next point even more important when he states, “I can not make up the evidence, I can not plant it in the ground,” and he encourages everyone to look at the evidence and make a decision based upon it. This is what Mahoney seeks to do in the film. The film interviews scholars, archaeologists, and Egyptologists of all persuasions. Some believe the biblical story is reliable and some do not. I find Mahoney’s treatment fair, although he is clearly coming from an evangelical perspective. In the end, he does not firmly endorse one view over another, but the film does indicate, as the title suggests, that there are some strong Patterns of Evidence for believing the biblical story of the Exodus.